What Does Streaming Live Church Services Mean? Streaming live church services refers to the technique of making a video of your sermon available to your website visitors as it is happening. In order to make this happen, your church will need a minimum of a camera, proper lighting, and a streaming service that broadcasts your service live. Why do Churches Live Stream? 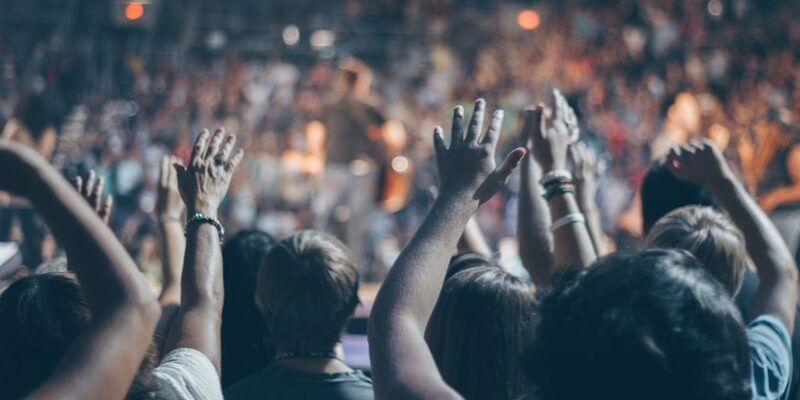 One reason churches might want to broadcast their services live is to reach a larger audience. With live streaming, there are no limits for location and the size of your sanctuary. Another reason is to reach members of your congregation that are not able to be at your service due to physical limitations or are traveling and not able to attend for a particular service. Is Live Streaming Right for Your Church? More and more churches are live streaming so many pastors and church communications directors feel a need to keep up with the times. While it is important to monitor the latest technology trends, it is also important to make sure these trends a right for your church. Let's take the first reason some people give for live streaming which is to reach a larger audience. While this may be true if your church is bursting at the seams and more people want to attend than can fit in your building, but most churches I know of don't have this problem. This does make sense for large churches that have a nationwide or worldwide following but for most churches I know of this is not a valid reason. A more valid reason for an average sized church is to reach shut-ins or those who for various reasons can't attend a service. This includes those on vacation or may be ill for a week or two. While this reason makes more sense for most churches, the question still should be asked, is it necessary for those people to view your service live? Live streaming requires an additional service like sermon.net to make it live and most of these services charge a monthly fee. You will have to determine if this charge is worth it for those who will be making use of it. A more economical solution for reaching those who can't attend your service might to make an audio version of your service available on your website. These are not live but do have the advantage of being able to be listened to at any convenient time. You can also do this with video, but video adds the necessity of more expertise as it also entails proper lighting (not always easy or cheap). For most churches, live streaming is not necessary. For most smaller to medium sized churches, making an audio of the service available on the website is much easier and inexpensive solution. If you have a large church that has a larger following than those that attend the church, live streaming can make sense.